Dr. Mark Galeotti is the Academic Chair of New York University’s Center for Global Affairs, and Clinical Professor of Global Affairs. Mark Galeotti is a specialist in transnational organized crime, security affairs and modern Russia. He started his academic career concentrating on conventional security issues, including the impact of the Soviet invasion of Afghanistan and the implications of the disintegration of the USSR. However, in his fieldwork he encountered the rising new generation of gangsters carving out their portions of the decaying Soviet Union and was one of the first Western academics to recognize this as an emerging security concern. Since then, he has become increasingly interested in the transnationalisation of not just Russian but all forms of organized crime and their impact on the international order and development as a shadowy opposite to the global citizenship at the heart of the CGA’s mission. Dr. Galeotti read history at Cambridge University and took his doctorate in government at the London School of Economics, exploring the impact of the Soviet war in Afghanistan. He has worked as a researcher in the British Houses of Parliament and in the City of London, and in 1996-97 was attached to the British Foreign & Commonwealth Office in an advisory capacity, where his brief covered Russian foreign and security affairs. He was both Visiting Professor of Public Security at the School of Criminal Justice, Rutgers-Newark 2005-6 and a Visiting Fellow of the Oxford University Extra-Legal Governance Institute in 2007, but before joining the faculty of the Center for Global Affairs he had been head of the history department at Keele University in the UK and the founding director of its Organized Russian & Eurasian Crime Research Unit, the only such specialized center in Europe. He has served as an advisor to the British Foreign Office and has worked with a wide range of commercial, law enforcement and government agencies, from the State Department to Interpol. Dr. Galeotti founded the interdisciplinary journal Global Crime and wrote a monthly column on post-Soviet affairs in Jane’s Intelligence Review from 1991 to 2007. He has published widely, with 12 authored and edited books to his name (most recently The Politics of Russian Security, published by Ashgate in 2010) and numerous other pieces, from articles in peer-reviewed academic journals to newspaper op-eds. His present projects include a global history of organized crime, an analysis of the Russian ‘mafiya’ and a study of Russian paramilitary and security forces. Not so much the era of stagnation as the era of decomposition? Russian politics is pretty de-institutionalized as is, with real power in the “deep state” largely located within Putin’s court and a few other informal circles of common interest and converging intent. 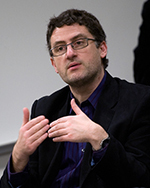 Mark Galeotti is Professor of Global Affairs at the NYU SCPS Center for Global Affairs. He blogs at In Moscow’s Shadows. When is a Cossack not a Cossack? When he’s a metaphor. Back in 1968, the Slavic Review published a fascinating and thoughtful article by Michael Cherniavsky, ‘Ivan the Terrible as Renaissance Prince.’ In some ways, this was an article about counter-Orientalism, about the way contemporaries at heart saw Ivan as one of them, as sharing the same cultural and political referents. Indeed, I would suggest they understated the real conceptual differences which still distinguished Muscovy from its western neighbors.